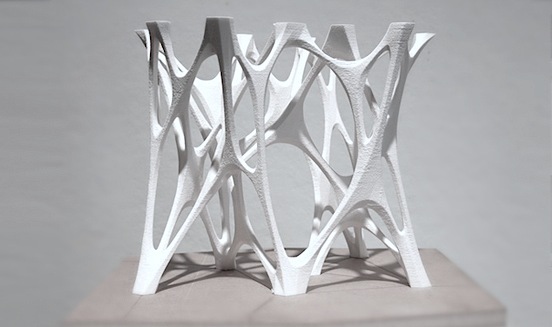 A creative network connecting professionals, students and the AEC industry to advance the discipline of architecture in its adoption of parametric design and digital fabrication. 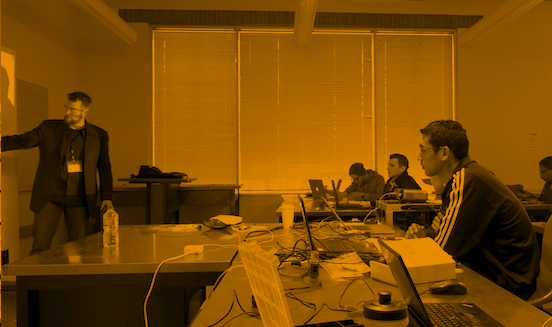 The University of Texas at Arlington hosted TEX-FAB 4 over four days on February 28th to March 3rd 2013. This year’s conference featured a day-long symposium of speakers from the academic and professional sector and introduced for the first time a four day workshop that ran throughout the entire conference. We were fortunate to have Lisa Iwamoto join us as our keynote lecture and share the compelling work being done by her firm IwamotoScott Architects. The conference presentations expanded to include a wide range of work such as The Beck Group, Arup, Future Cities Lab, Aranda\Lasch, MODE Collective and CASE. The winner of this years APPLIED competition also made a presentation on their work entitled “Cast Thicket” which anchored the exhibition in the UT Arlington Gallery. The workshop instruction featured some new faces with Jason Johnson teaching Robotic Prototypes and the HKS Line Studio teaching Beyond Pavilion Architecture. 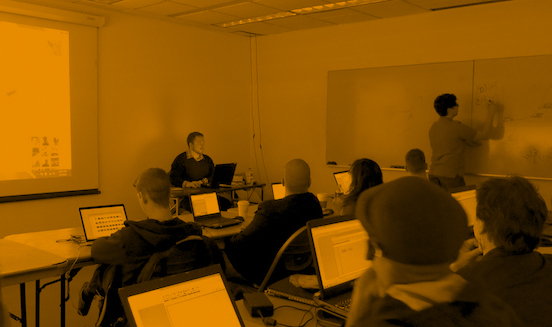 Familiar faces included David Fano but this time with Nate Miller who taught Workflow Rigging, Travis McCarra who taught Parametric Fundamentals, Chris Lasch returned to teach Design Scripting and Ronnie and Gil Akos who expanded their Crafting Material Effects to a four day workshop. 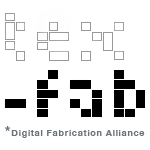 The TEX-FAB 4 event saw AEC professionals, academics, and students join in a lively discussion around issues of computational fabrication and continued the efforts to bridge regional dialogue with a global network. 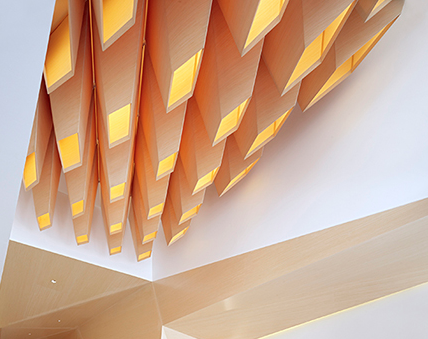 Lisa Iwamoto received her Master of Architecture degree with Distinction from Harvard University and a Bachelor of Science degree in Structural Engineering from the University of Colorado. Lisa has taught previously at the University of Michigan where she was a Muschenheim Fellow, and Harvard University. 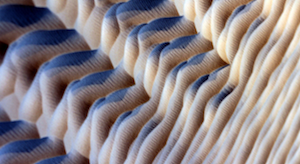 Lisa is currently an Assistant Professor at University of California Berkeley where her design research concentrates on the perceptual performance of material and digital fabrication techniques. Lisa is partner of IwamotoScott, a practice formed in partnership with Craig Scott. Committed to pursuing architecture as a form of applied design research, IwamotoScott engages in projects at multiple scales and in a variety of contexts consisting of full-scale fabrications, museum installations and exhibitions, theoretical proposals, competitions, and commissioned design projects. Iwamoto’s work has been published widely nationally and internationally. She is author of Digital Fabrications: Architectural and Material Techniques published by Princeton Architectural Press as part of their series Architecture Briefs. MODE COLLECTIVE is a Brooklyn-based design studio and research collective founded by Ronnie Parsons and Gil Akos. As a studio committed to design as a form of applied research, Mode engages in practices that have a requisite and deep connection to material and the processes by which it is formed and informed. MODE COLLECTIVE has completed and collaborated on a number of projects, varying in scale and complexity from interactive installations to stadia design. Mode has exhibited throughout North America and Europe in shows that most recently include System:System by Random Number and Spontaneous Schooling at the Nous Gallery. Ronnie and Gil currently teach at Pratt Institute and have previously taught studios, seminars, and workshops at institutions such as California College of the Arts, University of Minnesota, University of Toronto, and University of Kentucky as well as Yale, Princeton, and Columbia Universities. Maria Mingallon is a Senior Structural Engineer in Arup specialized in parametric 3D modeling and digital fabrication. 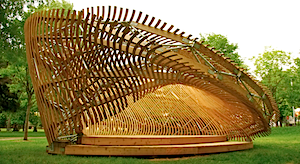 Maria also teaches at McGill University in Montreal, where she directed the design and construction of the research pavilion ContemPLAY, a 100% digitally fabricated structure. Arup first came to the world’s attention with the structural design of the Sydney Opera House, followed by its work on the Centre Pompidou in Paris. 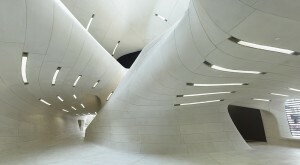 Arup has since grown into a truly multidisciplinary organization. Arup’s advanced design process uses computation to model, analyze, optimize and implement design solutions in a true integrated manner realizing the ‘total design’ of systems and structures: “The term ‘Total Architecture’ implies that all relevant design decisions have been considered together and have been integrated into a whole by a well-organized team empowered to fix priorities.” – Ove Arup, Founder, Arup, 1970. THE BECK GROUP is a fully integrated design and construction company servicing the southern United States. Through their innovative use of BIM technology, Beck has developed a highly digital process that is leveraged throughout the entire project from concept to jobsite to closeout. They are known for their commitment to quality having worked on such projects as the Dallas Nasher Sculpture Center, the Salvador Dali Museum in Florida, and the Nasher Museum of Art at Duke University. Frank Fralick is the company’s leading force in direct fabrication methodology and non-traditional procurement. He works with designers to deliver complex building components ranging from structural and ornamental steel to unique millwork. Brandon Coates is a young designer out of the Dallas office who leads computational design efforts within the organization. Established in 2003 by Benjamin Aranda and Chris Lasch, Aranda\Lasch is a New York-based studio engaged in both experimental research and innovative building. 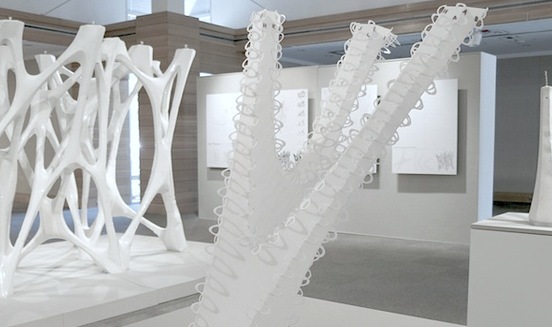 Winners of the Young Architects Award from the Architecture League and United States Artists Fellowship in 2007, their design work from buildings to installations to objects has garnered international recognition. Their early architectural projects were the subject of the critically acclaimed book, Tooling, published by Princeton Architectural Press. In 2008 they were commissioned by the MoMA in New York to produce a large-scale installation in the museum. They also collaborated with artist Matthew Ritchie on a pavilion sized work, “The Morning Line,” initially installed at the 2008 Venice Biennial and then fully realized at the Seville Biennial in October. 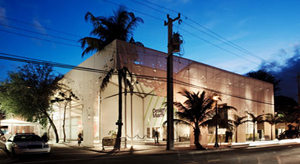 In addition to commercial and residential projects in New York, ArandaLasch recently completed a 42,000 square foot temporary structure for Design Miami in December. Jason Kelly Johnson is a founding design partner of Future Cities Lab. 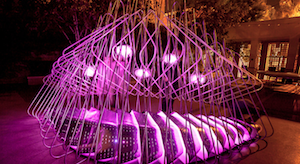 Since 2002, it has created a range of award-winning projects exploring the intersections of design with advanced fabrication technologies, robotics, responsive building systems and public space. He received his MArch degree from Princeton University and a BS from the University of Virginia. 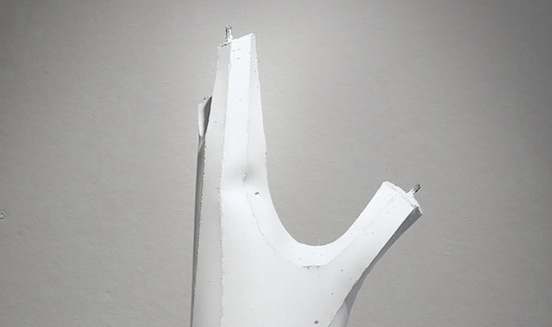 Published and exhibited worldwide, most recently at SFMOMA and the ZERO1 Art and Technology Biennial, Jason was awarded the 2011 Architectural League of NY “Young Architects Prize”, the 2008-09 “Oberdick Fellowship”, and the 2009 “NY Prize Fellowship” from the Van Alen Institute. He was a lead instructor of the AA San Francisco Visiting School “Biodynamic Structures” workshops from 2010-11, and Chair of the ACADIA 2012 “Digital Synthetic Ecologies” conference. In 2009 Jason began a collaboration with Andy Payne on FIREFLY for Grasshopper. He is an Assistant Professor at CCA in San Francisco. CASE exists where building and technology intersect. They combine their experience as architects, projects managers and teachers with a passion for technology to improve the way buildings are designed, built and operated. CASE is a Building Information Modeling (BIM) consultancy based in New York City providing strategic advising to building design professionals, contractors and owners seeking to supplant traditional project delivery methods through technology-driven process innovation. A founding partner of CASE, David Fano is predominantly responsible for leading technology implementation, knowledge capture and sharing, social media initiatives and business development. 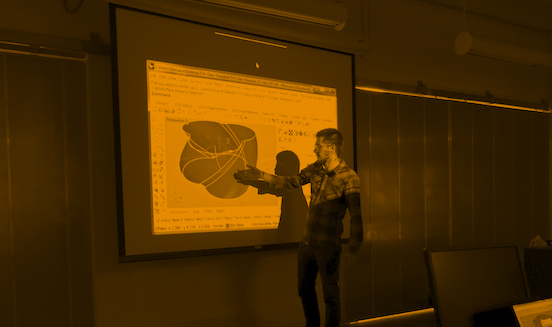 Nathan Miller is Director of Computational Design at CASE, a Building Information Modeling (BIM) and integrated practice consultancy, where he is responsible for leading the efforts on computational design strategy and complex modeling and geometric rationalization. 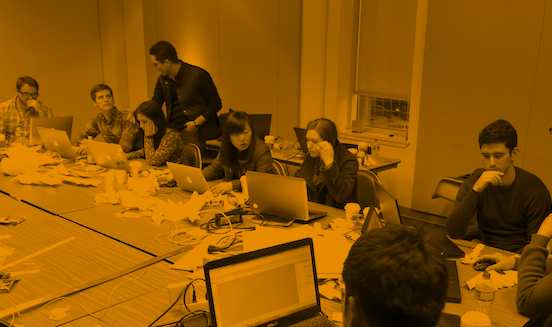 This years workshops drew 123 attendees from around the world, with our largest and most diverse collection of sessions. 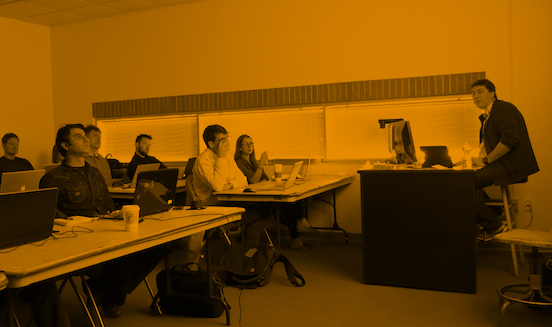 Student attendee geography hit many distance regions from the South, Midwest and Southwest while Professional attendees came from all over the county including Seattle and New York. Additionally, the inclusion of international attendees was the broadest ever with Italy and Korea represented. Below is our email newsletter registration form. We will update you regarding current news, upcoming events and competitions we will be holding. Also, feel free to contact us with partnership questions, proposals, or media inquiries. We look forward to hearing from you.